New York, NY (Top40 Charts) Congratulations to Ava Max, who scores her first No 1 on the UK Singles Chart with Sweet But Psycho. After missing out on the 2018 Christmas No 1 last week, Sweet But Psycho climbs a place to top the final singles chart of 2018 with 65,000 combined sales, including 7 million streams. The US singer has enjoyed huge success with the song across Europe, reaching No 1 in ten countries, including Ireland, Germany and Sweden. Meanwhile, Mariah Carey's All I Want For Christmas Is You has to settle for the No 2 spot for the third time in its 24-year history. After famously losing out on the Christmas No 1 to East 17's Stay Another Day in 1994, the song returned to its No 2 peak in 2017 and does so again this year. Mariah lost out on the top spot by just 152 combined sales, but she does set a new UK chart record for most streams in a week, racking up 15.3 million plays over the last seven days. Wham's Last Christmas lifts four spots to No 3, The Pogues' Fairytale Of New York ft. Kirsty MacColl zooms seven places to No 4, and Ariana Grande's thank u, next drop two places to complete the Top 5. 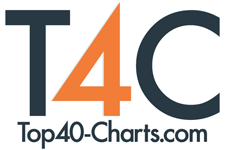 Over half of this week's Top 40 (25 tracks) is made up of festive favourites, including new personal bests for Michael Buble's It's Beginning To Look A Lot Like Christmas (7), Elton John's Step Into Christmas (10), Chris Rea's Driving Home For Christmas (11), Ariana Grande's Santa Tell Me (13), Darlene Love's Christmas (Baby Please Come Home) (22), Katy Perry's Cozy Little Christmas (23), Sia's Santa's Coming For Us (24), Buble's Santa Claus Is Coming To Town (30) and his Idina Menzel collaboration Baby It's Cold Outside (39). Nicki Minaj Joins Voice Cast Of "The Angry Birds Movie 2"